Admission is free and all are welcome! Refreshments will be provided. 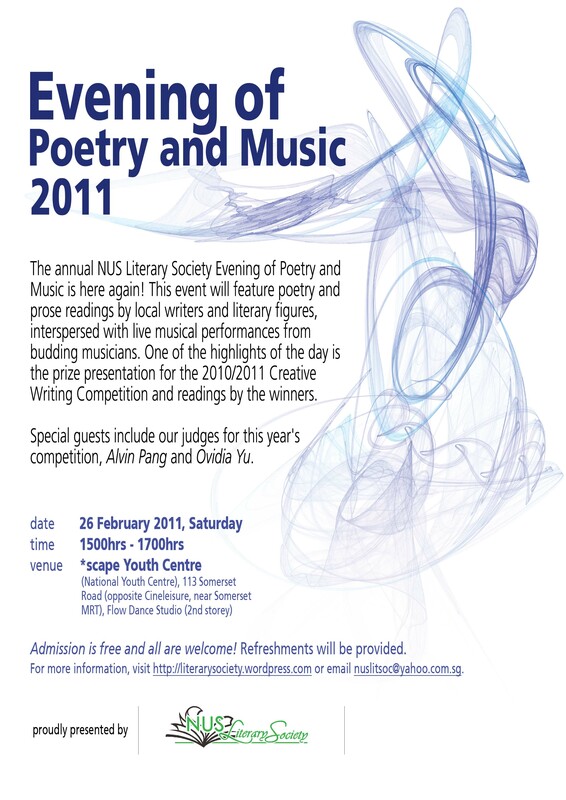 For more information, leave a message in the comment box below or email nuslitsoc@yahoo.com.sg.